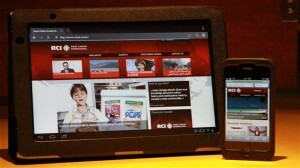 Wednesday (May 15, 2013) Radio Canada International launched a mobile version of its website, after RCI director Helene Parent convened staff to a late morning meeting to showcase the new version, and to bring employees up-to-date on RCI news. The presentation was almost cancelled, since the RCI website was off-line after the server hosting it (the server of our French-language public broadcaster Radio-Canada) crashed. Service on the RCI website was off and on throughout the day. 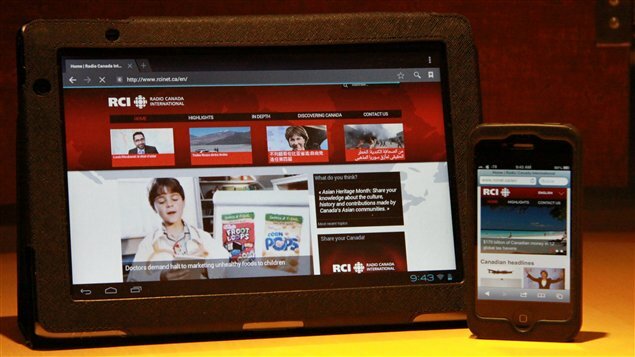 The mobile version is something a number of employees were calling for, even before last year’s 80% cut of RCI’s budget, and the elimination of shortwave radio broadcasting. In her presentation to staff Parent said a mobile version had been a priority, to make up for the loss of shortwave. This version comes only weeks after RCI radically changed the appearance of the website to better highlight the material posted by the English, French, Spanish, Mandarin and Arabic language services. Parent emphasized how well the new website was being received by staff and administrators in the national public broadcaster CBC/Radio-Canada, and also by senators in Ottawa. Parent said she accompanied CBC/Radio-Canada president Hubert Lacroix to a senate committee presentation on May 1, where they presented the website, and Parent said numerous senators came up to the two after the meeting to congratulate them for their success with RCI. We’ll have more on the senate testimony of Parent and Lacroix, as well as the questions and comments made by the senate committee members, in a future post.